I'm looking for an eq pedal for my rhodes. What range should be more efficient? I have an MXR M108 10 Band Graphic EQ pedal. I have not compared it to other models but it is fairly cheep, rugged, and the sliders all light up which is nice for a dark stage. I have one of these also, and have been trying to get the most out of it. Can you tell me what setting you are using on yours? Whatever EQ pedal you use, remember that you don't have to just boost frequencies. You can also cut frequencies that are muddying up the sound and getting in the way. Don't be afraid to remove some of the low end to make your Rhodes sound brighter and richer and clearer. This is especially true on my '78 Rhodes that has quite a bit of bass and treble but less midrange. I like using a big cut at 100hz and some cuts around 200hz and 500hz. It gives me a crisper sound without making the treble sound hyped and unnatural. I do not know if this helps at all, but just for general reference, on a standard 88 key keyboard, the lowest A is approx 27hz, and the highest C is approx 4,200 hz. I've gotten a lot more mileage in tone shaping using a tube preamp instead of EQ. I do not have any particular settings. I have primarily used it to give the Rhodes a little boost in the signal, even out the sound, and remove noise. I also find myself making little adjustments depending on how warm the amp tubes are, what the guitar and bass player are doing, etc. I love fiddling with sliders just like playing with drawbars. I agree that a proper preamp would allow a great deal more tonal possibilities. Would it make sense to use both? Hi..i am a new user here. There's one specific thing about biamping--it reduces intermodulation distortion. I haven't yet set out to quantify this effect in the legacy suitcase. Since I'm impersonating a scientist here, my hypothesis is that the grungy lower mid you get with a suitcase is due to intermodulation distortion, and if I can prove that to myself, then I will probably go forward with a prototype of some kind. Anyone have experience using a guitar EQ pedal - 100hz to 6.4k - as opposed to a bass EQ pedal - 50hz to 10k? 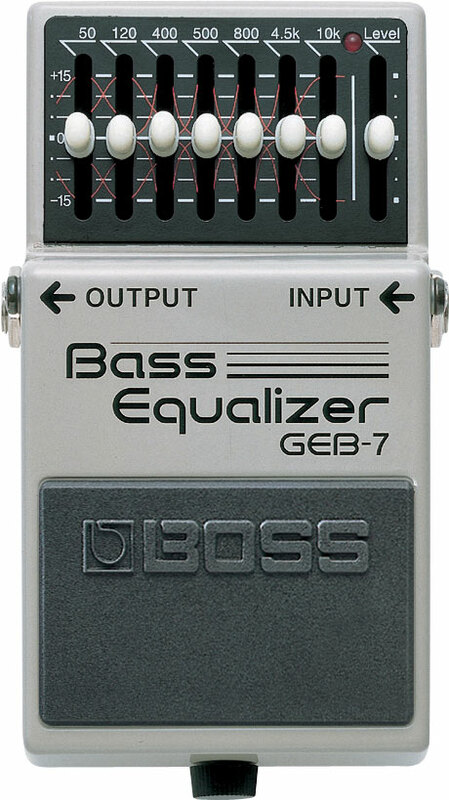 You might fare with a bass eq pedal as the frequencies are closer to a piano's wider range.